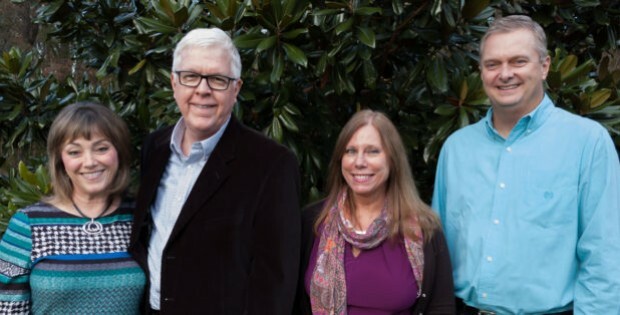 Christian Counseling Associates of Raleigh is committed to helping individuals, marriages, and families get their relationships back on track. We approach our counseling from a strong Christian perspective. Our specialty is working with distressed adults and couples who are hurting and ready for change. Our approach is balanced with tender care and clear strategies to help our clients get unstuck, repair their past, and move forward in their lives and relationships. FEES: COUNSELING: $120/hourly session for all therapists except for Dr. Mike ($140). LIFE COACHING: $100/hourly session. Insurance will usually reimburse a major portion of our counseling fee. The fee is $120/per hourly session ($200/two hour session) for all therapists except for Dr. Mike. His fee is $140/per hourly session ($240/two hour session). Dr. Mike and Rhonda are also available together for $220/hour ($380/two hour session). We do ask our clients to pay the full fee at the end of each session and we provide you with a medical receipt to take home to submit for reimbursement. We have found this policy to work well for most clients. That fee structure is the same whether we are seeing an individual, a couple or a family. Extended Sessions: We are also available for extended sessions of 2-4 hours for couples who are in crisis or for those who want to make faster progress or reduce the number of trips they need to make. Extended sessions can be especially appealing for clients who travel a longer distance for our counseling services. Our fee for extended sessions is the same rate as for regular appointments. Cancellation Policy: Please let us know at least 48 hours in advance if you need to cancel or reschedule an appointment. Missed Appointments: If cancellation is not given by email, voicemail, or by phone at least 48 hours in advance, then regretfully we will bill you our full fee. Our Marriage Intensives are scheduled at least one month in advance. 2 1/2 Day One-Couple Connected Marriage Intensive (for one couple alone): This fee is $3500 Total. ($250 non-refundable deposit to confirm date; $3250 final fee is due three (3) weeks before your Intensive start date. This final fee is refundable if written email request is received up to 14 days prior to the Intensive. If request is received later than 14 days prior then the fee is transferable to another date but not refundable. This fee does not include air-fare, housing or meals). In Couples Intensives Dr. Mike and Rhonda Garrett meet with a couple for approximately 20+ hours of counseling and training and provide personal in-depth assessment and direction. This compressed intensive is extremely effective in getting at the issues and reshaping the relationship. One free follow-up session by phone, Skype or in person is provided as part of this program. Please visit the “Intensives” tab on our website for more details regarding application, scheduling, content, housing, and meals. One-Day Marriage Tune-Up: One couple at a time meeting with two seasoned therapists to fast-track the repairs and rebuilding for a better tomorrow. Cost is $1500 Total. There are occasions when we are blessed to receive donations from individuals and organizations that welcome the opportunity to assist us in our calling to help couples, families and relationships. If you are interested in learning more about our Supporters Program, please visit the “Donate” section of our website. If you would like to benefit from our counseling services but are encountering financial difficulties please contact us to see if funds may be available to assist you.